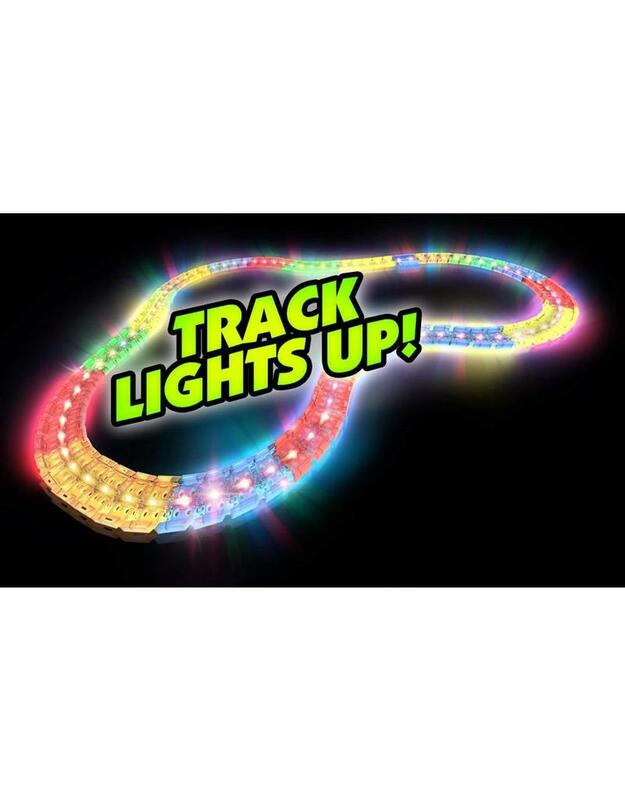 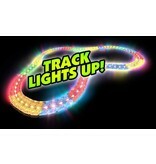 Tracks come with LED lights on each individual track piece! 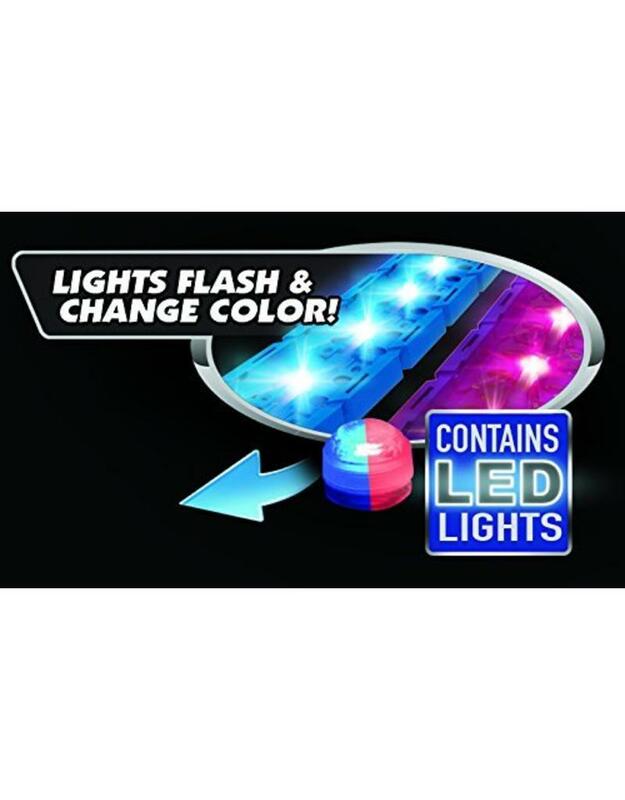 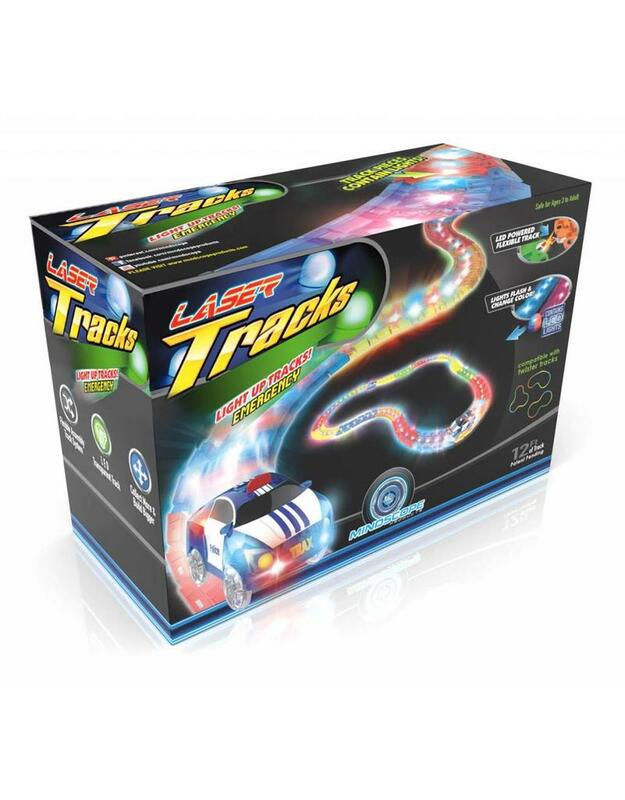 8 feet of flexible LED track + 4 feet of standard flexible track. 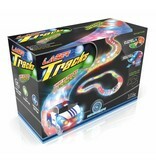 Loads of light up fun! 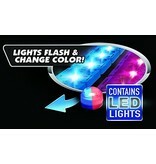 Set requires 4 AAA batteries.